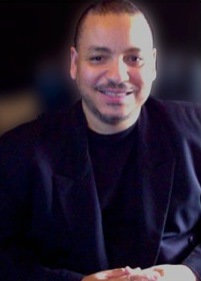 Curt has been a much sought after multimedia producer and musician for over three decades. He has done countless productions for many individuals and businesses including professional authors, musicians, actors and more. He has helped actors secure major roles in Hollywood motion pictures, produced content for nationally released books and more. His design, production and teaching philosophy is similar to Apple's (whom he actually worked for) "making complexity simple and understandable". As a performer, he has been a member of and/or produced dozens of popular bands and artists, including Blind Justice, Haven, Rose Coppola, Tinderbox, Faye & The Funky All-Stars and many, many others. He has performed in all the major venues throughout the region, including Toad's Place, Tuxedo Junction, CBGB's, The China Club including opening shows for numerous national acts including Blue Oyster Cult, Tower of Power, The Spin Doctors, and many others. He has also made numerous appearances on local radio and television including WPLR, KC101, Comcast Cable and others. A completely self-taught individual, Curt has an intense ability to learn and master anything he puts his mind to. In addition to being a world class guitarist, Curt is also an excellent bassist, drummer, keyboardist and vocalist. As if this weren't enough, Curt is also a professional recording engineer, producer, composer, educator, web designer and videographer! "Master of All Trades, Jack of None" is how many describe Curt. His mastery in so many areas coupled with his friendly style and willingness to share are what truly set him apart.